Wildlife warning sign on Highway 95. My family and I returned home to California a few days ago following an idyllic week camping on Payette Lake near McCall, Idaho. Our route home took us down Highway 95 in southwestern Idaho, a road typically bordered by the beautiful farmlands of the Snake River Basin. But our views weren’t so picturesque. Just south of Nampa, Idaho we began to notice the charred landscape left behind by the Soda Fire, the largest of recent fires burning across the United States. 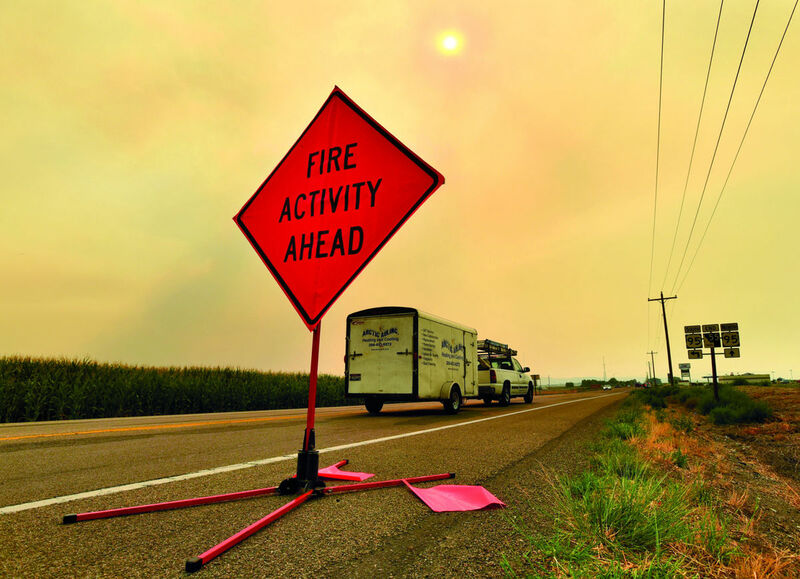 The Soda Fire has burned more than 280,000 acres of prime sagebrush steppe, which provides key grazing lands for cattle ranchers and important habitat for threatened wildlife like the greater sage-grouse. The U.S. Fish and Wildlife Service faces a difficult decision on the listing of the greater sage-grouse. On the one hand, populations are in steady decline across the range and the Service has already indicated that the bird’s condition will likely warrant protection under the Endangered Species Act. On the other hand, a listing would pit the Service against powerful economic interests – including energy and agriculture – and against most of the political apparatus of the 11 Western states that harbor the imperiled bird. But the Service just did itself and all sage-grouse stakeholders a big favor. 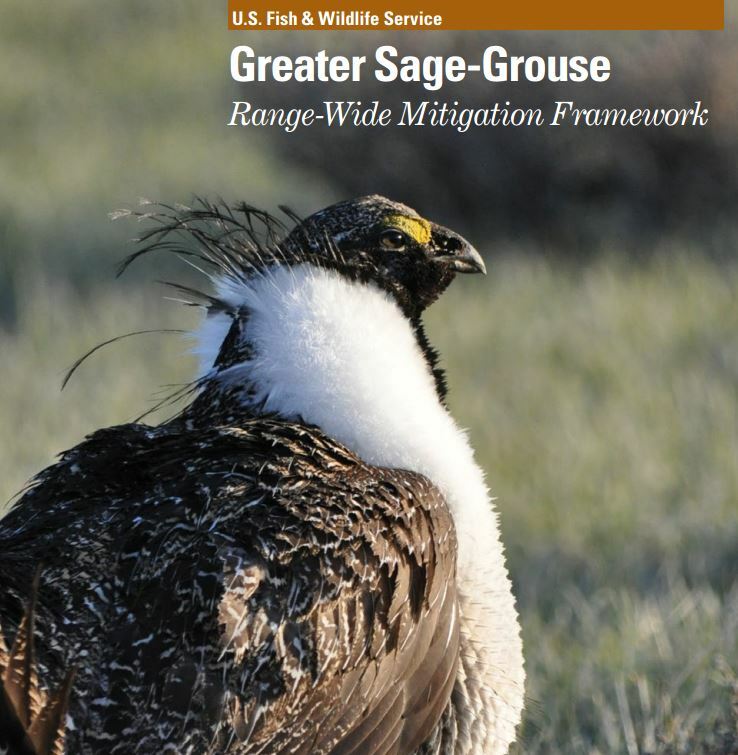 Earlier this month, the Service released the Greater Sage-Grouse Range-Wide Mitigation Framework – a guidance document intended to help states and private sector interests design solutions for the bird that, if implemented quickly and effectively, would be taken into account when the Service makes its final listing determination in 2016.